The Unitarian Universalist Society: East Director of Music Search Committee, the Policy Board and Rev. Josh are deeply pleased to announce that Mary Bopp will become Unitarian Universalist Society: East’s new Director of Music on Feb. 1st, 2015. Since 2002 Mary has served as the Music Director and Organist at Immanuel Lutheran Church in Whitestone, NY. 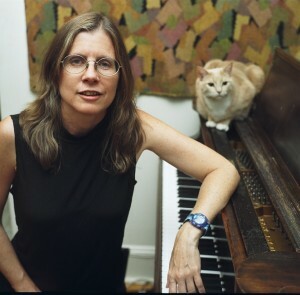 She is a pianist and co-founder of Chamber16, a dynamic consortium of musicians based in New York City. Explore Chamber16’s website here. Mary has performed as a soloist and collaborative artist in a wide variety of settings ranging from Weill Hall to the Knitting Factory, and the Los Angeles Bach Festival to the New York International Fringe Festival. In 2001-2002 she was a coordinator/performer in daily concerts for World Trade Center rescue and recovery workers at St. Paul’s Chapel. She was featured in a live broadcast on WNYC in the Queens finals of Battle of the Boroughs and most recently performed the Mozart Piano Concerto no. 13 at Saint Peter’s Church in New York City with the Chamber16 orchestra. Mary made her debut at the age of thirteen, performing the Mozart Concerto in d minor, K. 466 with the Peninsula Symphony in her native California. She proceeded to win numerous awards and honors including first place in the Music Teachers Association of California state solo competition. The Unitarian Universalist Society: East search committee was impressed with Mary’s creativity, her piano performance skills, her wide-ranging knowledge of music, her experience directing choirs, her enthusiasm for working with musicians of all ages and abilities, and her open and generous spirit.